A Methyl-Methacrylate (MMA) based adhesive designed to bond small to medium sized panels. It has excellent adhesion to cold-rolled steel, aluminum, galvanized, SMC, FRP and other composite plastics. 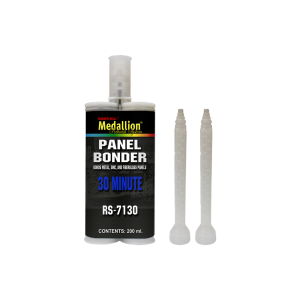 RS-7100 series panel bonder offers varying open times to allow enough time to apply the adhesive and install the panel.